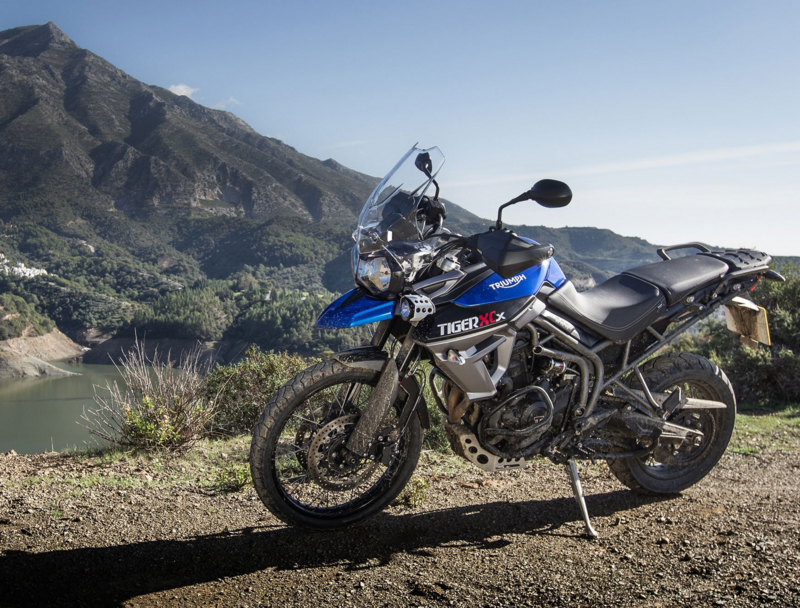 The Triumph New Tiger XCx 2015 is an off-road motorcycle from Adventure family. The adventure motorcycle is built around a tubular steel trellis frame and swingarm made up of twin-sided cast aluminum alloy swingarm. The long travel WP suspensions are installed in a quite good manner to offer an excellent ride quality. 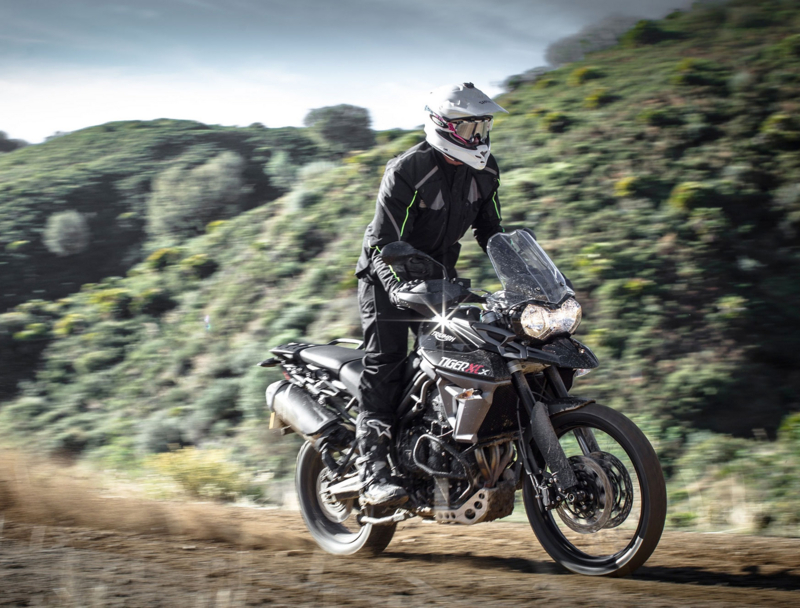 The Engine is the same as in the XRx such as the Tiger 800 XCx is powered by an 800cc liquid-cooled, in-line three-cylinder engine which is featured with an electronic Fuel Injection system that delivers excellent power and mileage. The engine gives 95 PS of power at 9,250 RPM and 78Nm of torque at 7,950 RPM. The motorcycle has excellent throttle response as the firm has installed cruise control, traction control and also offering 3-different riding modes. The 3-riding modes are Road, Off-Road and Programmable rider mode. The adjustable seat is pretty much impressive, which can be adjusted according to your height. The motorcycle is featured with powerful technologies which include long travel suspensions, advanced anti-lock braking system, riding modes and throttle mapes. 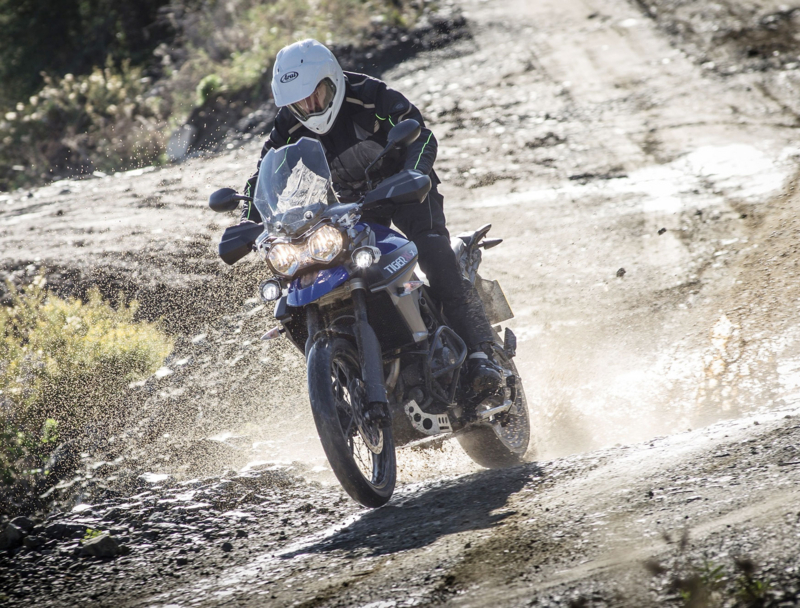 Being an adventure motorcycle, it is equipped with LED for lights, visor, Handguards, heated grips and several enhanced components. The color options offered by the manufacturer are Lucerne Blue, Jet Black, Matt Aluminium Silver and Crystal White.